More than 6,000 people have been moved to emergency shelters on Vanuatu's northern island Ambae in the South Pacific as a volcano threatens to erupt, officials said on Tuesday. The volcano, known as Monaro, stirred earlier this month but intensified over the weekend to begin emitting ash and volcanic gas, triggering fears of an imminent eruption, Vanuatu's National Disaster Management Office said. Authorities have established 15 emergency sites, but the large-scale evacuation was straining supplies, said Shadrack Welegtabit, director of the National Disaster Management Office. "We are in the dry season and with the ash contaminating some supplies our biggest concern right now is getting water to those who have been evacuated," Welegtabit told Reuters. 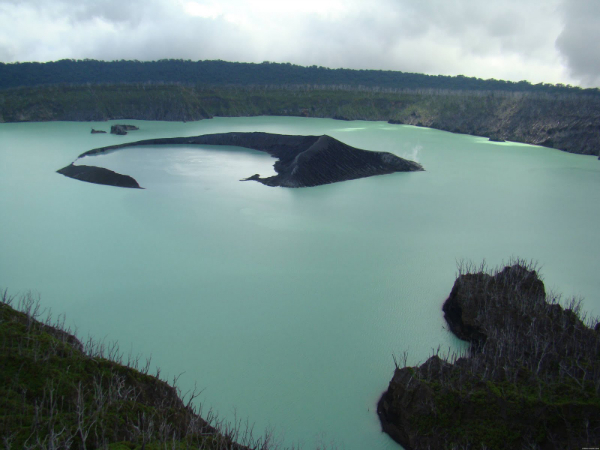 The last time the Ambae volcano erupted was in 2005. Vanuatu is one of the world's poorest nations, where locals are almost entirely reliant on food grown in their garden to survive, aid workers said. "People on Ambae rely on a subsistence lifestyle and so the big fear is not just the issue of displacement but the condition of crops and vegetation that people will go home to," said Georgia Tacey, Vanuatu country director at, Save the Children Australia. Vanuatu, a sprawling cluster of more than 80 islands and 260,000 people, is on the geologically active Pacific Ring of Fire and it's Tana island active volcano is a major tourist attraction.